Experienced attorney George V. Basham, III has been practicing law in Texas since 1970. He joined The Weichert Law Firm in 1998. George is currently AV rated by Martindale Hubbell Peer Review. 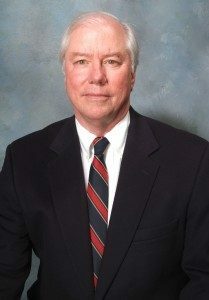 In addition to his practice with the Weichert Law Firm since 1998, Mr. Basham’s professional career has included work as a Captain and then Judge Advocate in the United States Marine Corps; the Assistant Chief-Hearings Examiner and General Counsel to the Texas Water Commission (a predecessor agency to the current Texas Commission on Environmental Quality), shareholder in the law firm of Lloyd, Gosselink, Fowler, Blevins and Matthews, and General Counsel to Intelitrak, a computer software firm. Mr. Basham is the proud father of three children. His personal interests include barbecuing, dogs (in general), music, University of Texas sports, and his search for the time to complete the Appalachian Trail. Currently, Mr. Basham focuses on issues relative to commercial and residential real estate, real property management, representation of property/homeowners associations and condominium regimes, and representation of property owners, builders, and contractors. George also drafts wills and handles probate matters for the firm. George V. Basham, III of The Weichert Law Firm serves Austin, Bee Cave, and Lakeway clients as a real estate law and business law attorney. Contact our office at (512) 263-2666 to schedule an initial consultation with an experienced Texas lawyer.